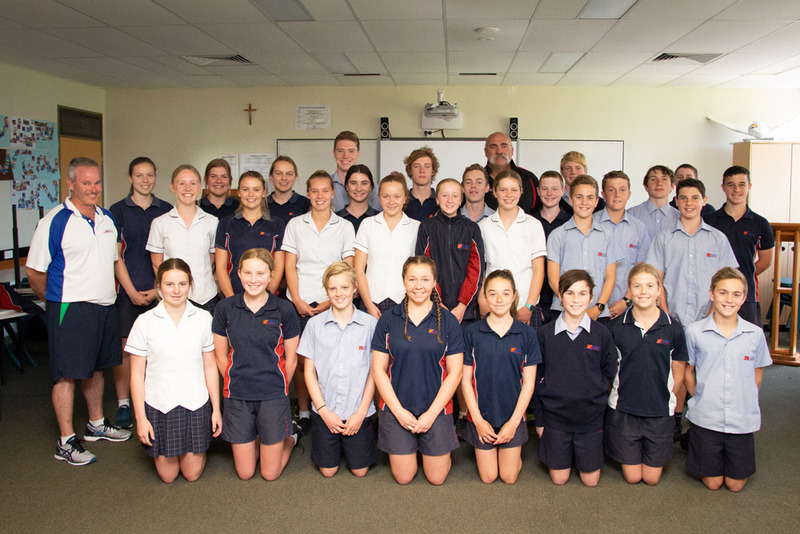 Merv Hughes with Lumen Christi students. 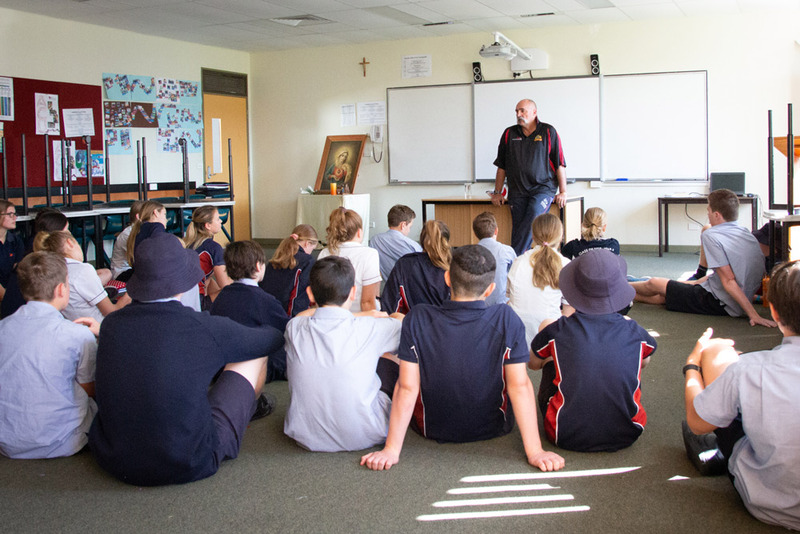 Former Australian Cricketer Merv Hughes visited students in the Athlete Development Program at Lumen Christi on Thursday, November 1. Merv discussed a variety of topics relevant to professional athlete development. These included the mindset of an athlete, sports injuries and management, commitment to all training components and balancing training, school and a social life. During his talk, Merv encouraged the young athletes not to take the easy option and to train hard and be confident in their own abilities. “If you want to be as good as the next person train the same. If you want to be better do more,” he said. Merv went on to tell his captive audience that in his opinion a sporting champion is an athlete that can do four things. Sum up conditions, sum up the opposition, sum up the situation and play accordingly. Students had plenty of opportunities throughout Merv’s presentation to ask questions about his time representing Australia in cricket. Students also asked for tips on training, nutrition, hydration and recovery. Article supplied by Lumen Christi Catholic College.